Blue Moon - An interesting Knizia card game. I'm generally not impressed with Knizia's overly straightforward numerical card games, and this one seems similar to the rest of them. But it also seems to have a bit more than the others, aside from too many bits and sexist illustrations: namely, some more interesting card play. Bridge - The Card Game, and still going strong. Down Under - An interesting tile laying slip of a game. I've enjoyed it with 2 to 4 players, but my group is somewhat less enthusiastic, probably having burnt out on tile games with Carcassonne. El Grande - One of the classic, a great area control game. Havoc: the Hundred Years War x 2 - OOP too soon, it's a light card game which is good for non-gamers. A bit too light for serious gamers, perhaps. It's Alive - My game, and a great light auction game, IMHO. The group likes it. Lost Valley - We started off liking it, and now think it's got great gaping holes in the abusable mechanics. Must figure out what to do with it. Magic: The Gathering - The classic CCG, is cheap and easy if you forget about ever competing with pre-built decks. Mr. Jack - A very intriguing game for two players of convoluted logic. Can hinge on some luck, but usually falls prey to someone making a mistake. Notre Dame x 2 - A new classic (if there can be such a thing). An excellent new Alea game of actions and resource management. Odin's Ravens - A two player card game of some interest. Light. Pirate's Cove - A very nice game with dice and cards. The cards appear to introduce more luck problems than the dice. It's a very good game otherwise. Power Grid - The group's most played game. Math has never been so fun and intriguing. Robo Rally x 2 - Another new group favorite, it's chaotic and fun, but still a brain burner. Just be careful not to set too long a course. Settlers of Catan - The introductory game of choice for new players. Still holding strong for over a decade. Vegas Showdown - An absolute steal from Amazon at $10; I think the sale is over, but you can still get cheap copies. It's actually a great medium weight game of auctions and planning. Quite fun. The latest Jerusalem Strategy Gaming Club session report is up. Games played: Odin's Ravens, Notre Dame, Lost Valley. We still love Notre Dame, but we think that Lost Valley needs an overhaul. Simon J pointed out this article: one Chess master forfeited a game for refusing to shake the hand of another Chess master. After an appeal, the game may be replayed if an apology occurs. Those wacky Chess masters! TV channel KVEW, an ABC affiliate, has a series of videos called Gamer Geeks, wherein a lovely young newscaster tries to make sense of board gaming geekery. More on the dangers of Monopoly: four dudes killed another over a game in Hartford, CT. They probably forced him to play the shoe, too. The York Press covers the irrepressible Beyond Monopoly club. Foxmind wrote to tell me that they will be showing off some new games at the upcoming Nuremberg Toy Fair, including: Kajunga, a survival game; Dig It, a multi-level brain teaser; and Trixo, "a new dimension to Tic Tac Toe". For more on upcoming releases at the festival, check out BoardGameNews. On the Israel scene, Israel's government has invited the remaining Beatles to play on Israel's 60th birthday. Apparently, the last time the Beatles were scheduled to come to Israel, the Israeli government refused on the grounds that their music would corrupt the country's youth. Oh, the shame. Panic in the Streets! It's Snowing! - Someone in the municipality checks to see where they last put the city's one snow plow. It makes no difference that the amount of snow that actually sticks to the ground is barely enough to scrape together into a snow cone. 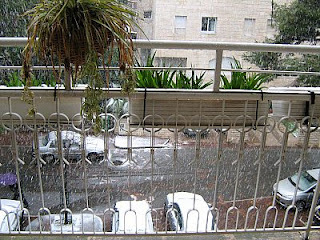 A Jerusalemite's reaction to snow is something akin to a Republican's reaction to a looming cessation of a tax break for millionaires: shear panic. Greg Costikyan positively reviews Fluxx, prompting Boing Boing to mention it, prompting voluminous discussion. According to the RIBA, the game brings together up to 25 people 'in an informal setting…..encouraging debate about issues and aiming to reach consensus'. Participants, such as designers, planners, policy makers and developers, are split into teams of four or five and are given 'statement cards' and 'proposal cards'. Each team has to come up with a proposal which is then debated by all players. The lessons were seemingly simple: Managers produce better results working collegially than when they care only about their own little piece of the system. Developing strategies is more effective than just handling a series of crises. Played out over a simulated 24-hour day at a hospital, "Friday Night at the ER" graphically shows the downside of short-term thinking, faulty assumptions and an every-manager-for-himself philosophy. The Indiana Tribune Star has an article about gaming, and whether it's in your blood. Vancouver's 24 Hours pimps board gaming as a way to reconnect. Ohio's Crescent also pimps board games. XBL Arcade mentions board games that have recently been ported to the XBox and what's coming soon, including: Chessmaster Live (should now be available), Alhambra, Talisman, Lost Cities (and other Knizia titles), Ticket to Ride, and Puerto Rico. Update: I didn't read the original article properly, as was pointed out to me by the first commenter. I'm sorry for that. Alhambra was canceled though it was one of the original three Euro titles announced together with Settlers and Carcassonne, which both thrive. Talisman is in limbo, and Puerto Rico appears to still only be in rumor stage. Boylston Chess scoops a game of chess which took a violent turn this week. Why do companies produce or license board and card games to be created from their video games? Brand recognition. Either they hope the board or card game will make a few bucks based on the popularity of the video game series, or they hope that the board or card game will increase sales to the video game through brand recognition. Nintendo takes this a step further and celebrates itself, rather than its games, as a brand (Nintendo dominoes, Nintendo UNO, Nintendo Monopoly). For this reason, the history of board and card games based on video games is not one of great games, with some improvements as of late. What is the difference between a board or card game based on a video game and a video game based on a board or card game? Video games based on board or card games, or movies, need inherit only the theme from the game they imitate. For instance, the first Civilization computer game was originally based on a board game of the same name, but aside from the idea of civilization-building, the play and the mechanics of these games had nothing to do with each other. Update: see comments for a correction about this example. The exception to this is a direct translation of a board or card game into video game format, such as a computer version of Risk or Settlers of Catan on the XBox. These invariably disappoint unless they can be played multi-player, because usually the fun part of older board games was the player interaction, not the game play itself. On the other hand, a board or card game based on a video game generally tries to mimic not only the theme and story of the video game, but some element of the game play. Therefore, if, in a video game, Mario jumps barrels, moves up levels, and avoids a gorilla, the board or card game is going to try to get all of those elements in the same order. The mechanics may be different: instead of pushing buttons and moving a joystick you'll play cards or roll a die. As a result, unless the original game was board or card game like to begin with, the resulting game has some heavy constraints to overcome. The good news is that companies have begun to discard this old notion of how to make licensed board and card game in recent years, instead creating tabletop games that only match in theme, just like the reverse procedure. As a result, the quality of this genre of game has shown some improvement. The bad news is that many of these games are pretty much now loss leaders to get people to buy into the video game with little originality or creativity. Witness the large number of new and useless CCGs based on recent video games, included in the packaging or given away at conventions. While video games are challenging to your hand-eye coordination or logic, most board and card game adaptations relied entirely on spinners or dice, making them entirely unchallenging. Some of the designs are cute recreations of their video equivalents, but without the interesting mechanics to back them up. Another challenge for adaptations is how to take an essentially single-player game and create a game for two to four players. In some cases, the game is something akin to multi-player solitaire, while in others each player takes on the role of adversary for his opponents. In the following listings, dates are given as video game/board game. When unknown, I write UNKN; if you can fill these dates in for me, I would be much obliged. Some video games spawned numerous board or card games, and these are mentioned. A board or card game marked with an asterisk (*) is somewhat more interesting than the usual, either in my opinion or so I have been made to understand. Theme: bop things on the head as fast as they appear. This card game is a dexterity speed game. It also earns the title of "longest time differential between the original electronic game and the board or card game". Theme: hit the ball back to your opponent. The game here is actually an electronic game as well, called Blip. It was a rather strange game, but a good game for its time. A mechanically moving LED moved back and forth between the players. You had to push the correct button out of three on your side depending on which one the "ball" was heading towards. Video gaming was outside the home at video arcades. Board games were a natural way to capture the home market. With console gaming just getting off the ground, board games were still comparable in market share. The arcade game vendors sold board games the way they now sell T-shirts, hoping to capitalize on a brand. Theme: shoot slowly descending aliens and avoid getting hit by falling bombs. This was an unlicensed game named Invaders. If I understand correctly, you roll the dice to determine which column your piece lands in and then collect an invader from that column. Theme: shoot the moving asteroids which break into smaller pieces, and avoid getting hit by them. An unlicensed free print-and-play game which involves moving 3D origami figures around the board and shooting them, using numerous dice. Theme: avoid getting touched by rapidly moving robots. Theme: shoot the centipede which breaks into pieces when hit, and avoid getting hit by the pieces or other critters. Theme: climb a building using window ledges while weird people throw things onto you. Appears to have some choices in movement, at least. Theme: seek out and shoot the alien ships as they try to abduct humans. Save the humans from falling after an abduction. Theme: eat all the dots in a maze while avoiding getting eaten by four critters. Milton Bradley. There was also card game 1982 which played like a fancy version of war. Theme: shoot things before they shoot you. An unlicensed free print-and-play game that uses dice, pencil, and paper. Theme: climb a building and rescue the girl by jumping over or hammering the barrels thrown at you by a big monkey. Milton Bradley. You are sometimes required to actually roll a barrel across the board. This was also card game 1983, and a board game 1999. The latter involves some sort of card drafting mechanic. There's also a toss and pitch POG game 1995. Theme: cross a river or road by jumping from one moving object to another without getting eaten, drowned, or squashed. Milton Bradley. Interesting in that it gives you action points. Not interesting enough to make a good game, however. Theme: fight against realistic gravity effects to stab the things trying to eat you. Theme: jump to avoid the dangers. Theme: navigate a race course as quickly as possible. Theme: collect items while avoiding the bad guys. Parker Bros. Also a card game 1983. Theme: jump onto each square while avoiding the bad guys. Parker Bros. Also a card game 1982. Theme: navigate a race course quickly. Theme: shoot everything and don't crash. The board game is a full-fledged and well-respected GDW war game. I'm not entirely sure how much of the game was based on the video game of the same name. Theme: choose the right path through a dragon's lair at every room; hesitation equals death. Game consoles are now eating into Christmas morning presents, but various crashes, missteps, and poor game quality in the early 80s caused some critics to see them as a temporary fad. These board game tie ins are mostly curiosity pieces. The board game market sat on its laurels during this period, producing nothing interesting or new. Theme: climb around picking up the boxes without getting trapped in a pit. Designed by one of the video game's designers, players try to navigate several mazes while opponents send guards to catch them. I don't know how it plays. Theme: an economic game of survival and cooperation to keep your colony alive. The board game is the free print and play game L.L.A.M.A. ; another free print and play game is Q.U.L.E. 2005. These games were only developed recently, so appear to be potentially decent games. A dice based combat game by the video game publisher (Namco). Theme: navigate a tower picking up treasures, killing monsters, and rescue the princess. A dice based dungeon crawl game by the video game publisher (Namco). Probably 1985 or 1986. Theme: navigate a dungeon picking up treasures, killing monsters, and rescue the princess. A dice based dungeon crawl game by the video game publisher (Namco). A roll and move game by the video game publisher (Bandai). Theme: kill things, pick up treasure, and rescue the princess. A roll and move game by the video game publisher (Bandai), but it appears that you may at least have choices over the direction in which you move. Theme: navigate various platforms, avoid getting shot, pick up the treasures, and rescue the girl. This is the best selling video game of all time. Milton Bradley. Another board game The Great Ladder Race 1989 is a dexterity game where you try to move your Mario or Luigi up a ladder. Another roll and move by Waddingtons 1992, as well as a completely random Waddingtons card game 1992. There is also a newer dexterity electronic game 2006 and dexterity non-electronic balancing game 2006. Theme: orient and fit falling blocks to create rows of complete lines. Build rows with plastic pieces and crowd your opponent to hinder him from doing the same. By Tomy. Textor 1994 is a print and play two-player game, and Tetris Tower 3D 2004 is a game with a Connect Four like grid and a timer. Theme: explore a world, gain powerups, find secret passages, kill monsters, and rescue the girl. Milton Bradley. While still a dice rolling random game, the game play involved cooperative movement and multiple winners or losers in each battle, which was somewhat interesting. By now you're probably wondering how I'm dividing my video game ages. Unlike the divisions on Wikipedia which measure the bit capability of the consoles, my divisions are based on theme and game play. First gen games were simple sports games, second arcade game shooters, and third abstract shooter, maze and adventure games. Fourth generation is when direct hand-to-hand fighting and visceral blood and gore entered the video gaming world, and not coincidentally when I dropped out of playing video games. Once again, nothing exciting was happening in tabletop gaming at this time. Milton Bradley was having some success with their Gamemaster series, including Axis and Allies and Fortress: America. Chess was growing in popularity, role playing games were pretty much at a standstill, and the last good board games were Boggle and Trivial Pursuit in the 1970s. Despite the success of Super Mario Bros., board games again sat on their laurels and lost the American media spotlight. Theme: punch and kick people, rescue the girl. Theme: an RPG of discovery, spellcasting, combat, resources, and exploration. FF has gone through a number of versions over the last twenty years. Some of the later versions included card games that a player's character could play within the video game experience. Some of these were turned into actual card games, including Triple Triad and another called Tetra Master 2001. Theme: Jump platforms, avoid dangers, stop Dr Wily. The linked board game is Megaman NT Warrior Battle Net. I'm not sure what the "NT" is for. There's also a CCG 2004, and a licensed Settlers of Catan game 2005 (one of the very few). The game is a CCG created by Mayfair games. Theme: create and sustain a virtual railroad system. The board game is rather late in coming, but that only means that it was released in a better board game age. The board game is ranked rather highly, although it suffers from a series of distracting physical production problems. Theme: shoot things and rise in the ranks of the Air Force, onwards to victory. The game is a CCG. Theme: build a thriving civilization through several epochs of history using resource management, war, and diplomacy. The video game is based on the original classic board game Civilization 1981*, one of the few bright spots of the 1980s board game scene. The original board game had an equally lauded sequel, Advanced Civilization 1991*. The new board game, which is based on the video game, is not particularly well regarded, so much so that an open source project was created to replace it. Theme: jump platforms, avoid critters, pick up treasures. Sega's answer to Super Mario Bros. The game is by Milton Bradley. There was also card game 1992. The Sonic franchise includes TV shows and so on, and there is a CCG based on one of the cartoons Sonic X 2005. Theme: punch and kick people. The original Street Fighter 1987 didn't spawn any games, as far as I know. The board game is by Milton Bradley. There was also a War-like card game 1994, and an RPG. Theme: kill things, pick up treasure, and rescue your fiance. A dice based move and combat game. The game is a CCG called Kard Game. The rise of online gaming and computer-like consoles brought video gaming into movie mode with nice graphics and smooth game play. They also got gorier and more violent. Board and card games finally began their media comeback. In America, you had Magic: the Gathering, whose effect was felt in the video game world as they began pumping out specialty CCGs to go with their video games. Dungeons and Dragons began working on 3rd edition, Chess matches captivated the world, and Texas hold'em fever began surging. Nevertheless, with the perception of the decreased value of board game tie ins, many of the games in this period only produced board games a decade or so later. With American board game manufacturers unable to break out of their strategy of endlessly licensing old games, European board game companies began producing incredible new games with revolutionary game play, such as Settlers of Catan, El Grande, and hundreds of other titles which heralded a new game genre: the Eurogame. These games were partly a reaction to the overly violent video games, which are less popular in European countries such as Germany. At the end of the century, American manufactures finally brought out Cranium, as well as a number of somewhat languid DVD games. The board game is rather late in coming, but that only means that it was released in a better board game age. The board game is a cooperative game of several players versus one player who controls all the monsters. Doom is created by Fantasy Flight Games, which is the closest thing to a video game publisher in the board game world; not because it simulates the game play of video games directly, but because it creates highly complex and visually interesting games using themes lifted from video games (other games by them still to come later in this article). Theme: find clues, solve puzzles, and explore many worlds. The game is a strange competitive game of assembling a puzzle. Theme: make runs in a cyberpunk setting. There were three earlier video games based on the pen and paper RPG Shadowrun, including the one linked above, another in 1994, and another in 1996. Another came out in 2007. The game is a Clix mini-game. I don't know which game (if any) would be considered its inspiration. Theme: acquire resources and go to war. A print-and-play game based on the first game in the franchise. Theme: harvest resources and wage magical warfare. The board game is by Fantasy Flight. Following the World of Warcraft MMOG, Fantasy Flight released the highly regarded World of Warcraft 2005*. There is also a well regarded CCG 2006*. The CCG is one of the most successful of all CCGs published in this era, and was aimed primarily at younger players. Like Nintendo, there are dozens of games based on the franchise itself, including: Monopoly Pokémon 1999, Battle Disk Competition 1998, Battle Dome 2005, Build n' Battle 2005, Battling Coin Game 1998, Champion Island DVD Game 2007, Adventure Game: Pokémon Emergency 2000, Master Trainer 1999, Master Trainer II 2001, Master Trainer III 2005, S.S. Anne Game 2000, Silph Co. 2000, Tower 2000, Trading Figures Game 2006, Pokemon Sorry 2000, and Pokemon Yachtzee Jr UNKN. Theme: make choices and follow intrigue while protecting the U.S. president from assassination. Theme: keep your virtual pet alive by typing in the correct sequences. Theme: shoot everything, and avoid a massive barrage of shots back at you. This is a CCG called Rumbling Spell Orchestra. Theme: adventure in a Japanese fantasy world. A self-published card game made by a fan. Theme: a post-apocalyptic game of karma and combat. The tabletop game is a small scale war game by Interplay called Fallout: Warfare. The video and board games both play somewhat like Risk. Theme: punch and kick the monsters. Theme: harvest minerals, build resources, wage interstellar war. The game is another in the classic line of Fantasy Flight games, which means an excellent (if long) game in its own right. Theme: collect resources, build your civilization, and wage warfare. Milton Bradley. There is also a CCG 2003. Theme: build an amusement park, manage resources, and attract happy visitors. A mass market game by Hasbro, it's got a decent reputation for its event driven cards and choices. Recommended as a light gaming experience with non-gamers. Theme: an online CCG based on fighting games. The card game is the paper equivalent of the video game. A similarly themed game is Capcom Crossovers 2004. Theme: develop your physique and personality and get dates. This is a dull looking dice based game. The interesting thing here is that it seems to have come out before the game on which it is based. Game consoles are now as powerful, or more powerful, than computers, and game graphics are DVD quality. Many games are massively complex, yet they have a play life of no more than about a year or so. A notable exception are MMOGs which are adaptable and expandable on the fly. The most popular video games are new and unique casual games with interesting decisions and choices. The typical online game player is a woman in her thirties, which also influences the types of games that are developed. New Eurogame mechanics are slowly spreading to both American board games and to the video game world. The commercial board game world is once again growing, but it is also merging with the computer game world. Various companies are testing generic electronic gaming tables, and many board and card gamers now play online. An unofficial, unlicensed fan-produced print-and-play game, supposedly quite good. Theme: aerial combat to save the U.S. The game is a Clix mini-game. Originally a board game concept, it became a video game, and then a revamped video game. The Clix game is based on the newer video game. Theme: use a lot of different futuristic weapons to kill mechs aliens; especially known for online play. The game is a Clix mini-game. Theme: build and manage resources in a mythological world and wage war. A fairly well regarded expansive game from Eagle games. Theme: a strange RPG combat game with Disney and anime characters. Theme: build and maintain a medieval city state. A well regarded board game by Klaus Teuber, the designer of Settlers of Catan. Theme: A MMOG set in a sci-fi universe where training and other real skills matter as much or more than combat. Theme: defeat monsters and gain resources in this fantasy MMOG. Theme: explore a world, collect artifacts, shoot creatures. The board game is a take-that game of shooting and blocking your opponent. Theme: Be a superhero and beat up villains. Theme: control a ship, collect treasure, and fight. The video game is a remake of an earlier one from 1987. The board game went through several prototypes but never actually materialized. Unlike the previous AoE II which was a simple CCG based on the game, this is a full-fledged epic board game which great bits and great game play. Theme: solve a whole lot of puzzles of different types. Theme: buy things in town to kill random monsters. The video game series is based on an anime series which dates back to 1989, which explains why there are Dragon Quest board games appearing throughout the 90s, including Dragon Quest Dungeon 1990, which plays something like Battleship. The above linked board game is a card driven dungeon game of exploration known as Death Palace. Additional games based on the video game series include Dragon Quest 1 and 2 UNKN based on the first two video games, which are card and dice combat games, Dragon Quest: Battle Arena UNKN, which is basically a four way card game of War, and Dragon Quest Dungeon R 2006, which appears to be a reworking of the original 1990 board game with added elements from the video games. Theme: slash, kick, and punch people. This game is a collaborative CCG tie in to both Midway's Mortal Kombat and Capcom's Street Fighter III. By coincidence, this is another collaborative CCG tie in system of games that references multiple fighting game genres from multiple companies. It also draws on the Penny Arcade comic strip. Theme: build and maintain a Renaissance city state. A card game by Klaus Teuber, the designer of Settlers of Catan. Theme: kill people with your guns and cars in a post-apocalyptic world. Theme: brew potions and explore and fight as a witch. Can you fill in any missing info or correct my mistakes? Send me an email or post a comment. Update: A number of people mentioned Frag 2001 (plus expansions) from Steve Jackson Games, which is a board game meant to play like a first person shooter video game, although not based on any one specific game. The Murray State News talks up board games. The Orilla Packet & Times presents a short history of board games from the collectors point of view. The Sneeze bemoans one of the unfair cards of Candyland. Scott Jon Siegel's latest board game in the Escapist is unfinished; he's hoping his readers will help him balance the game. For the weekend, Saarya and I went to my friends for Friday evening and then walked over to my Aunt and Uncle's for lunch. My friends are not game players. They have two kids ages 6.5 and 4.5 and a new copy of Monopoly: Wonders of the World. The 6.5 year old has successfully played it, as well as Checkers and a few other games. I brought along my own bag of games, of course, including Blokus Trigon. Although I feel that regular Blokus is a more tense game throughout, Blokus Trigon becomes a tense game at the end-game. It's big advantage over regular Blokus is that it plays well with three players. With three players, you are supposed to not use the outer ring of spaces. If you do, it's easy for all players to place all of their pieces. While one of Blokus' good aspects is that the play is as fun as the winning, no possibility of winning is a bit too tame for me. I played against the 6.5 year old and my friend who was helping the 4.5 year old. I gave a little assistance once in a while to the 6.5 year old, but other than tending to broadcast what she was going to play next time, she played fine. The 4.5 year old never quite got the game; whenever it was his turn, he just kept trying to place the pieces on the board whereever until his father said that his move was good. As the game progressed, my friend and the 4.5 year old played a piece into the outer row of spaces. When I pointed this out to him, my friend told me not to bother about it. Some of you might mistakenly believe that just because I don't like that fact that all games are built having a single winner that I don't like competition in games, Nothing could be further from the truth. A game without competition is simply a leisurely activity, which is dandy enough, but misses out on many of the most important elements of gaming which include mental (or physical) stimulation, sportsmanship, manners, achievement, self-esteem, self-respect, and so on. I never coddled my kids by letting them win. I helped them and gave them advice, but I didn't change the rules of the game for them. They sometimes took years to beat me at some games, but they had their revenge by eventually getting better than me at most games. Still, that's my way of parenting, and I respect each parent to make his or her own decisions. But as I saw my opponent move into an illegal part of the board, I decided that I was going to play to win. Why? Because a) my friend didn't ask me not to, and b) I was now at a huge disadvantage if I didn't play on the outer rings, too. If I could win without using the outer ring while my opponents could, it would be a miracle. So we played, with me futilely blocking as much as possible. My opponents were generally able to work around by simply entering the outer ring. However, they eventually began to run out of pieces that they could use to sneak around me. It came down to the very last moves of the game. Astonishingly enough, I won, finishing my last piece and leaving neither of my opponents any space to play theirs. All's well that end's well. In order to achieve both my desired win as well as my friend's "we don't allow any losses in here", I showed both of my opponents how they could rearrange the pieces on the board at the end of the game to also legally place their last pieces on the board. Which make them happy, since they didn't know enough about the rules to know anything was amiss. My cousins were also at my Aunt and Uncle's, including three boys who are game players but don't know any better games, yet. The two younger ones are highly ADHD, which makes playing anything with them a challenge the moment anything else moves in the room (like a dust particle). I got to introduce to them my game It's Alive. I played with my cousin and the three boys, as well as Saarya. We started with a five player game, which the oldest boy won. They then wanted to play again. Saarya bowed out, and I bowed out to help the youngest, so they played four player. The same boy won again. Then they played a third time. This time, the same boy finished his board first, but both my cousin and one of the other boys both had better totals, and he only came in third. After that, we played a Blokus Trigon game, which I won without too much difficulty. Lastly I taught them For Sale. I won the first game, and lost the second. All in all, some good gaming. An interview with The Designer. My favorite Haveil Havalim, the Israeli/Jewish blog carnival: A complete story about Speed Dating. More about the focus on winning in games, and how it distracts from the concept of art. Even more about different types of winning. A small note to the future about how to remember me When I'm Gone. The latest Jerusalem Strategy Gaming Club session report is up. Games played: Notre Dame, It's Alive. Our first group play of Notre Dame. We all liked it. Bernie DeKoven did his gig in Tel Aviv at the Educational Centre for Games in Israel. The next major board game controversy in the works: This guy's made a trivia / board game about serial killers. Based on Monopoly by way of Trivial Pursuit, Hobson's game rewards those who know their John Wayne Gacy from their Bundy. The well-informed land on an unnamed victim's house and deliver a body to the dump. The person with the highest body count wins, but to get there, knowledge is not enough. The game is seeded with what Hobson calls "entangling situations," such as random discovery or chance intervention by law enforcement. Still, justice rarely prevails. The names of the serial killers are all immortalized, while the name's of the victims are deemed unimportant. Way to go, guy, whose day job is illustrating children's books. Expect lots of news coverage in about six months. Congratulations to my friend Shlomo and his new wife Stefanie who were married yesterday. Shlomo is a dear old friend who comes to game group whenever he visits Israel (not this time, however). You can see pictures of the wedding here. Georgia Boardgamer has a nice article on video games vs board games. Fair Play is a themed board game about the cotton industry that seeks to raise awareness of the fair trade social movement. Techcrunch speculates that Scrabulous is looking to sell itself to Electronic Arts at the last minute. EA currently has the license for online Hasbro games such as Scrabble. The Hub, part of the Lansing State Journal, pimps board games. Some of those polled come up with a few good ones. In other news, Hugh MacLeod of Gaping Void does a podcast interview with the Rabbi turned founder of thriving internet diamond business ice.com . Hasbro keeps alive the non-news about Monopoly by asking for votes on a new World Here and Now edition. Last year's country-specific Here and Now edition votes were marked with vote rigging, apathy, and the occasional minor mention in a local newspaper during slow news weeks. I'm not expecting much more for this one. The Standford Daily uses Apples to Apples as a metaphorical tool to comment on local conditions. This brings A2A into the somewhat exclusive league of "games uses as metaphors" which until now included Chess, Go, Monopoly, Snakes and Ladders, and only a few others. MSNBC has a neat article on parents playing with kids. The Sun Journal (Maine) on The Dragon's Lair, a new game store in Norway, Maine, and its owner, Karl Otterson. Seattle PI reviews the new play: "Monopoly!" Deputy Dog lists controversial and propaganda board games. Mixing the two doesn't really make sense, but there you go. The Houston Chronicle disses DVD games. The Queens University Journal on better board games. A whole bunch of sites have asked me for links lately, so here you are. These are all game related; non-game related sites need to give me a good reason. The game You've Been Sentenced. The video game Amaze at ITF games. They've offered me an evaluation copy to download and review, which I haven't gotten around to, yet. OffGamers, a place to buy WoW stuff. MLG Pro, covering sports video games, and their new uploadable video site. 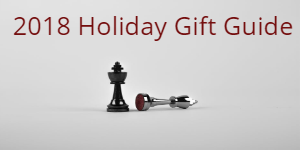 Griddly Games, offering sports board games. 1. All known Hobbies and Occupations. For what to do with your free time and your life, respectively, start here. Anyone for some "Mamie Eisenhower fudge"? Which can be reached from the more general Famous Deaths By Cause, and leads to the more specific Inventors Killed By Their Own Invention. Most of us know just one. Guaranteed to make you sound smarter than anyone else at your next party, unless you run into someone who actually knows something. When you absolutely need to know the name of Chandler's father's Las Vegas drag queen show. And without which, we would have no Amelia Bedelia books. Another good one: Words with disputed meanings. Sadly, my name is still not listed. Guess I wasted those five bucks. Ooh! Ooh! I just did! Oh wait, wait ... Ooh! I did it again! If every other country was right, these should have been invaded and taken over years ago. Now go look up Contraposition. Yes, I know what you're thinking: what the heck does this mean? It means: countries that "have the most X" or "are the most Y". I bet you didn't know that this was already in the encyclopedia. Want to know a little about the future? Wikipedia has future years by century, decade, and year. A guide to your next vacation. This week's featured sounds include "Was frag ich nach der Welt" and "An alligator bellowing". 18. Which Came First, the Chicken or the Egg? On one of Wikipedia's many sister sites, Wikiquote. Don't like my list? Here are several hundred cool and strange articles as chosen by the Wikipedia gurus themselves. You would think that there are two types of Jews: Hassidic Jews (black coats and hats) and secular Jews (Woody Allen and Jerry Seinfeld). There are entire ranges of Jews who almost never appear on your TV screen, including Sephardic Jews, Modern Orthodox Jews, Hippie Jews, Ignorant Jews, Cultural Jews, and many others types. You might think that all Hassidic Jews dance around a lot, have poor social skills, talk only to other Hassidic Jews, and work in the diamond industry. Hassidim work in many different ares, study part- or full-time, and some are not always deliriously happy to sing and dance every Friday night. Many are capable of having intelligent conversations, like anyone else. Many of them are quite educated about the world, too. You might think all non-Hassidic Jews' relation to Judaism is holding a Passover seder, lighting a menorah, not eating ham, and hiding their Jewish boyfriends or girlfriends from their mothers. Some keep no traditions, some keep many, some wear special clothes, some don't. Some are fanatic, some are withdrawn. Just like everyone else. You would think that Jews always throw Yiddish words or expressions into their conversations. What a shainda! You would think that all Jews eat nothing but lox, bagels, cholent, and kugel. Some Jews cook these on occasion, but many are as likely to cook any style of food: American, Chinese, French, Spanish, Mexican, Indian, you name it. Not to mention that those traditional Eastern European foods are pretty rich in oil and sugar and now less acceptable in today's health consciousness. You would think that kosher wine means overly sweet bad wine. Manischevitz is still selling crap wine, but there are wonderful dry and semi-dry full-bodied kosher wines coming out of Israel, France, California, Argentina, Australia, and Chile, to name a few countries. You would think that kosher food means a Rabbi blesses it. Kosher food is nearly entirely based around not eating certain animals, ensuring the animals we eat were healthy and killed quickly, ensuring that we do not eat any blood, and not mixing meat and milk. In order to ensure that other products aren't contaminated with ingredients derived from the above sources in this age of additives, Jews who keep kosher try to buy products that had Rabbinic supervision at the plant. The Rabbi works rather like how a USDA inspector works, simply ensuring that non-kosher ingredients aren't sneaked into the foods as a cost-saving measure. You would think that whenever we make a blessing over something - wine, challah, candle lighting - that we say it in a broken and crying voice, perhaps longing for the days of our little villages in Russia. We say blessings thankfully, devotedly, rotely, laughingly, haltingly, lovingly, silently, loudly, or however we feel depending on who we are, what we know, and how we are feeling that day. And there were no good days in those little villages, by the way. You would think that Hannukah is a celebration of family, love, and tolerance towards our fellow Jews. Hannukah is a celebration about religious Jews killing or driving out all the Greeks and Hellenized Jews (Jews who assimilated to Greek culture). So much for the season of tolerance and togetherness. You would think that all Jewish laws have to do with strange rituals and service to God. Well, some do. But more than half of Jewish laws have to do with how we should treat other people, and are considered just as important, and often more important, than the other laws. On the other hand, our devotion to God is also important, and not to be thrown away to make others feel comfortable. You would think that synagogue is a place where a cantor prays on behalf of everyone, like a church. This is true for some Reform synagogues, but most Conservative and all religious synagogues are not like this. The cantor, or whomever is leading the service which could be any Joe Shmulik who gets volunteered into service, coordinates everyone to be on the same page. He doesn't pray for you; Jews pray directly to God without intervention. Jews are either very rich or very poor. They can be, as well as every other economic means in between, like everyone else. You would think that everyone is happier when a Jew finally compromises his religion and gives in to love. I, at least, abhor these stories. Which doesn't mean that I don't believe in love. You would think that lots of the best comedians are Jewish. My Secret Santa Gift Arrived. Yay! Thank you to you lovely, anonymous benefactor who sent me such lovely presents. You even went out of your way to sign a fake name on the return address, customs declarations, interior billing address, and so on, just to throw me off! I can't be fooled! If only I knew who you were, I could thank you properly. My package included: Notre Dame, Power Grid's new power deck, Power Grid France/Italy map, and a package of Reese's peanut butter cups. Yum! My group and I will be enjoying the games for many weeks to come; my daughter the sweets. 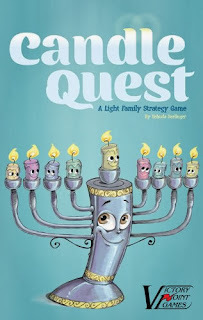 I spent shabbat with my brother Ben and we got in a few games, including this one. These were his first two plays of the game. He began by not understanding why it wasn't trivial for Criminal to win. So I had him play Criminal first, promising to switch sides for game two. I forgot that he tends to whine when he thinks that there's no hope from his position, rather than look harder at finding a solution. So every once in a while I had to point out an available option. He still didn't believe that there would be hope, and I had to force him to play it out. It came down to him having two guys on round 6, one of which I was going to light and the other of which I wouldn't. The one I lit (A) was not Criminal, and the other one (B) couldn't escape in time. Yet, if (A) had been Criminal and I had only been able to light (B), (A) would have been able to walk off the board and win the game. So it came down to the wire. And anyway, making it to round seven as Criminal on your first play is fairly impressive. Now he was convinced that there was basically no was no way to win as Criminal. I took over as Criminal, and escaped on round 4, when I ended up with first shot at moving Mr Orange who was Criminal and had a manhole cover under him. I think that Mr Jack is a game which you can lose if you don't think through your tactics very carefully. But if you don't throw the game, the games random elements then decide who wins, seemingly randomly. Even so, the tactics that require thought are fun. You have to think not only about this turn, but the next two turns. It's challenging. Ben doesn't like drafting, so we play Magic by rolling a die and picking three random cards from one of the colors, over and over until we each have 68 cards. Then we build decks. This resulted in my having an incredibly poor deck for the first games. I sat there with basically nothing to do. Even though he was stuck with only two mana for a fair portion of the game, I still couldn't win. The second time we did this, I had a slightly better deck, but it was still no match for his Shambling Strider, a 1/1 Bander, and a Village Elder. He kept picking off my creatures as fast as I could bring them out, and my lack of any damage or bury effects couldn't help me. It became very boring and seemed to drag on for too long. Next time we play, I want to use my cards; his are too mundane. Not that I feel particularly sympathetic to someone who spouted anti-semitic and anti-American remarks for the last thirty years of his life, but I put this down more to general insanity and paranoia than true villainy. In any case, he was once a legendary player and a historical icon. So, rest in peace. Cranium issues its own product recall for Cranium Caboo. A retired judge in Arizona is daring to be the next victim of a country-wide crackdown on low-stakes poker games. I'm at my brother's for the weekend, so hopefully gaming is on schedule. Shabbat shalom. The 2007 Board Game Internet Awards Are Up! Check out the winners of the 2007 Board Game Internet Awards. More on the subject of strategy. I did some searches on Usenet to discover the very first time certain popular games were mentioned. One of my favorites, an article on how to be completely soulless and win using just the mechanics of any game. "All games with win conditions are race games." It's us hopelessly naive types who are always disappointed with reality. In spite of everything, I still believe that the function of bureaucracy is to ensure that everything that needs to be remembered is recorded, that people who need something get it, and that people who don't don't. Unfortunately, reality ensures that bureaucracy prevents those who need something from getting it. I began snoring a few years back, and decided to do something about it. A family doctor gave me a referral to a sleep clinic on the basis of my having sleep apnea. Based on this referral I made an appointment with a sleep clinic. Done? No. The sleep clinic can't see me until my health clinic gives me an approval based on my referral. So I go to the health clinic to get the approval. Done? No. The health clinic won't give me an approval, because my referral has to come from either a neurologist or an ENT, not a family doctor. So I go to an ENT. Then I go back to the health clinic. Done? No. The health clinic doesn't like what the ENT wrote. Apparently, the reason the ENT gave for my needing a sleep clinic isn't a good enough reason. Now at this point, two doctors and a sleep clinic know I need a sleep clinic, and the health clinic knows this, too. A naive person might think that the health clinic would step aside or help me straighten everything out, rather than continue to stand in my way. No. I have to go back to my ENT and get a new referral with one of the approved reasons for seeing a sleep clinic. And what are the approved reasons, you may ask, as I did? They refused to tell me, because they didn't want me or my ENT to just write down a fake reason expecting it to get rubber stamped. The ENT is supposed to know the approved, secret reasons. The ENT obviously doesn't know what your secret reasons are, I said, seeing as she already gave me a referral with these reasons. I think we can expect that the ENT assumed that the reasons given were sufficient, or she wouldn't have given me this referral, no? We can't help you, says the health clinic. So I go back to the ENT and relate my sad story. The ENT says (surprise) that the reasons she gave me were perfectly sufficient and I should go back and tell this to the health clinic (I'm not walking between two offices in a building, you must understand. Each of these visits is to a different part of town on different days, and each visit is about 30 to 60 minutes.) She can't think of what reasons would possibly be more sufficient than the ones she already gave me (secret reasons, no less). The ENT writes on the bottom of my previous referral that my reasons are certainly sufficient and if anyone questions it, they should call her cellphone number. I take this back to the health clinic. Done? No. The health clinic tells me that nothing has changed and that it's still not sufficient, but that they will run it by Doctor so-and-so and call me back. A day later they call me back and say it's finally approved. Done? No. I still have to go back to the health clinic and wait again to get the approval in writing to run it over to the sleep clinic. They won't fax it for me. My American credit card company called me about some suspicious transactions in mid-December. Turns out someone was using my card to rack up small online charges at places like Skype and music places I'd never heard of. My American credit card company immediately took care of the problem and sent me a new card. I had to rip up my old card. I ripped it up and threw it out, only to discover that I had instead ripped up my Israeli credit card by accident. So for a week or two I was out both cards. Getting back my Israeli card was more of a hassle, since I had to go down to my bank branch and agree to new fees. You can't just do it through the credit card company. But eventually I get a new one with the same number as the old one, after paying an annual fee and agreeing to monthly fees to boot. This month's Israeli credit card statement, on my new Israeli credit card, contained a bogus charge to an online music store that I'd never been to. It was made around the time that I received the new card in the mail. OK .... the Israeli credit card company canceled my card and is sending me a new one. They'll cancel the bogus charge after sending me a form to fill out and sign and I send it back (already done). But wait. The same type of charges on two different credit cards? Either someone copied my credit card info from my wallet, intercepted my mail, or is logging my keystrokes on my computer. As to the last, I've run a dozen programs now and I can't detect anything. As to the other two, they don't seem all that likely. Maybe it's pure coincidence? Here's a link into coverage of yet another police raid onto a small poker game. This time the illegal activity was collecting $5 from each player to pay for the food and drink. Follow the links to read the detailed stories. The Calgary Herald covers the local Euro-gaming group. The Dice Tower's podcast episode 114 is a diverse look back at the year 2007. If you pay careful attention, It's Alive is briefly mentioned as having been a nice surprise. In the Israeli town of Sderot, whose schoolyards and playgrounds are still being bombarded with daily barrages of rocket fire from Gaza, there are many different ways to cope. According to this Haaretz article, "The Sha'ar Hanegev Regional Council ... has modified the Monopoly board game to allow players to "fire" Qassams, as a way of reducing stress." "Board game" searches on Lycos are up 400% (whatever that means). The latest Jerusalem Strategy Gaming Club session report is up. Games played: Blue Moon, Mr Jack, El Grande, Magic: the Gathering, Power Grid, Bridge. My thoughts on playing Blue Moon for the first time. I count my victories with each top video game blog that gives a nod to board games. Joystiq does it on a regular basis now with Scott Jon Siegel's Off the Grid column. Now Kotaku mentions board games twice in three days running. First, Logan Booker on Kotaku's Australian site mentioned how he's into Arkham Horror after several years of Settlers of Catan. I sent him a few emails with other suggestions. Then on Sunday, Flynn Demarco on Kotaku's American site ran a mysterious article covering Metro Detroit Gamers' work in bringing board game nights into local lobraries (sourced article here). Hmmmm. My sinister plans for taking over the world seems to be working. Of course, the number of people who play board and card games is likely still ten times or more the number who play video games, but who's counting? Nexus, the operators of the subway system around Newcastle and Gateshead in Northern England, have created a portable room sized "board game" that teaches the dangers one may encounter in the subway system. The game "... focuses attention on consequences of stone throwing, graffiti, fare evasion, and anti-social behaviour on trains." According to the director of rail infrastructure at Nexus, "Not only do the overhead lines carry 1,500 volts of electricity but the trains can travel at speeds of up to 50mph and people don't appreciate how difficult it can be to get out of the way." The players stand on the game as representatives of their own pieces, and, if I understand correctly, simulate throwing rocks, spraying graffiti, evading fares, and exhibiting anti-social behavior while being shocked to death and getting crushed by massive barreling trains. Sounds like fun, and educational, too.